The Office of the General Overseer, Mountain of Fire and Miracles Ministries led by the General Overseer Dr Daniel Olukoya hosted the outstanding Mountain of Fire and Miracles Ministries Women Basketball team on Thursday in his office in Lagos after their heroic fourth place finish at the just concluded 2018 Nigeria Zenith Bank Women Basketball League Final 6 in Lagos. 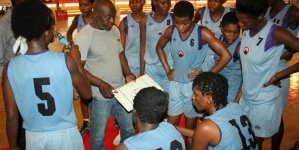 The team which made its maiden appearance in the top division women basketball league in Nigeria was formed just seven days before the season by Mountain of Fire and Miracles Ministries Sports Director, Godwin Enakhena. 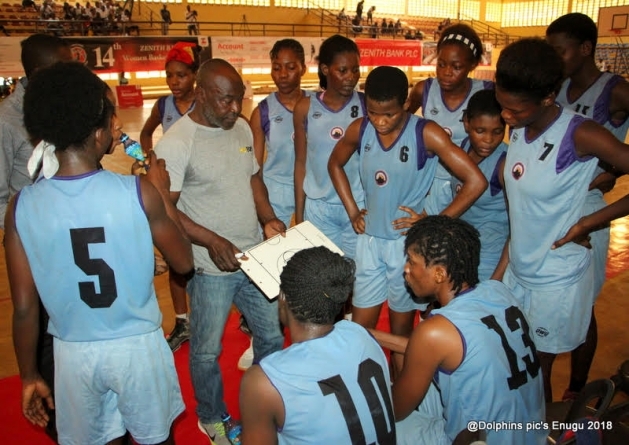 The team against all predictions finished third in the Atlantic Conference regular season in Enugu, pipping four- time champions, First Deepwater Basketball to the Final 6 playoffs spot in Lagos, before making a run to the semi-finals in the playoffs in Lagos where they lost 57-44 to the experience of 2015 champions, Dolphins Basketball club in the semi final. They also later lost to another old war horse, Customs 57-49 in the third place match. Dr Olukoya in his address at his Yaba office expressed his delight at the performance of the girls. “We are yet to recover from your beautiful performance. This is unbelievable! The church is still dazed by how well you ladies performed”. 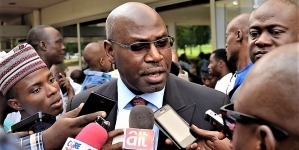 He also on behalf of himself and his wife lauded veteran Sports journalist and Director of Sports, Mountain of Fire and Miracles Ministries, Godwin Enakhena for his pro-activeness and vision to improve the lot of not just the youth in the church but Nigeria as a whole for taking up the entire project on his own. 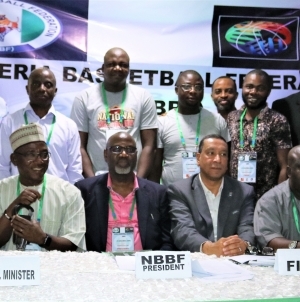 Former D’Tigress Assistant coach and Team Head coach, Adewunmi Aderemi popularly called Coach Owolo thanked Dr. Olukoya in return for his kind gesture and hospitality noting that the team was not prepared when his call came. Assistant Captain of the side Oluchi Nzekwe gave a vote of thanks on behalf of the players thanking the MFM G.O for the August invitation, promising to deliver a better performance and in fact a continental ticket next season. Dr Olukoya promised a more elaborate reception for the team and a formal introduction of the team to the Church on a later date, as the team was originally scheduled to disperse camp on Thursday before his call for a visit.